Yann Faussurier underwent a lot of introspection before arriving at the sinister, squalling noise he now produces as Iszoloscope. Dismissive of any mainstream music ("it always has been a real joke to me"), Faussurier found his place on the vast musical continuum through videogames, of all things. A fervent gamer, he says he derived a lot of his esthetic direction from games like Doom¸ Nocturne and Unreal Tournament and a sci-fi shooter called R-Type, all of which combine moody action and eerie soundtracks. After becoming acquainted with the menacing atmospherics of artists like Future Sound Of London, The, Coil and Scorn, Faussurier began DJing at CHUO 89.1 FM (the University of Ottawa's radio station) with friend François Bénard. The two started composing original music together in 1999. Caustic and experimental, the work they created under the esoteric Iszoloscope moniker consisted of heavily processed ambience and bristling noisy beats. The duo's first full-length, Coagulating Wreckage, was released on Belgium's Spectre label in September, 2001; by then, however, Bénard had already quit the project. That suited Faussurier just fine. After gathering field-recorded samples, he manipulates them with all sorts of effects. Faussurier has no preconceived ideas of the result; the processed samples end up sounding nothing like the source material, which is what makes albums like Aquifère (2002) and Au Seuil Du Néant (2003, Ant-Zen) sound so alien. 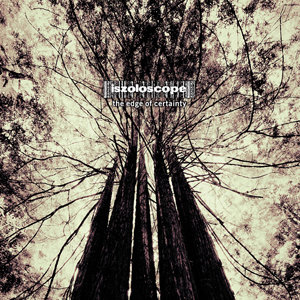 As of today, Iszoloscope has remixed countless artists, appeared on dozens compilations, produced 2 more full length albums on the German label Ant-Zen Les Gorges Des Limbes (2004), and The Audient Void (2005) along with several EPs and collaborations on the European labels Yb70 and Ad Noiseam. 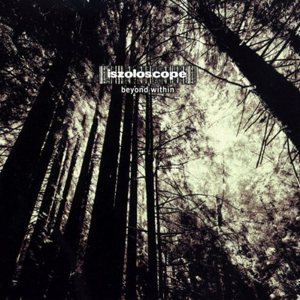 A lot of electronic music tends to be bold and shimmering; Iszoloscope's sound is more jagged and elusive. What makes the project even more unusual is the fact that such outlandish noise should emanate from a burgh like Ottawa: O-Town ain't exactly a buzzword in electronic circles. In 2008 Guillaume Nadon joined as active member of Iszoloscope.